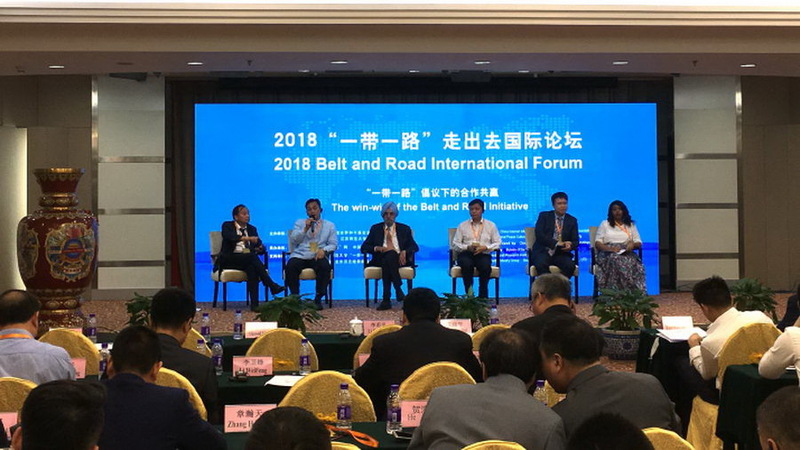 The Win-Win of the Belt and Road Initiative was the theme of the 2018 Belt and Road International Forum held in Beijing in late June. The event focused on cross-border business operations, people-to-people exchanges and the promotion of common development under the framework of the Belt and Road Initiative. "There is actually a misunderstanding about who the major players are in the Belt and Road Initiative," said Hu Biliang, a professor at Beijing Normal University, while addressing the forum. According to Hu, though governments of countries along the Silk routes may have played a significant role in the top-level planning for the implementation of the Belt and Road Initiative, enterprises are the major players since they are the ones overseeing the infrastructure construction and other programs proposed by the initiative. Moreover, despite the fact that the initiative was proposed by the Chinese Government, Hu clarified that the Belt and Road Initiative will not just serve the interests of China or be "monopolized" by China. 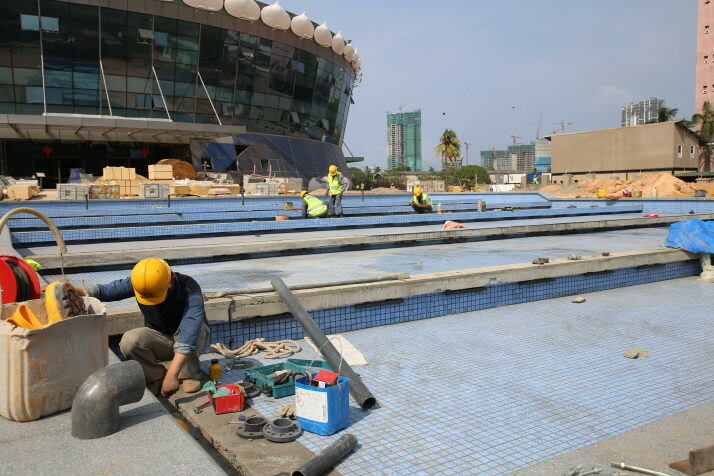 Currently, many Chinese stated-owned enterprises are leading Belt and Road programs due to the fact that most undertakings are large infrastructure projects which require heavy investment, a lengthy construction process and high risk with limited short-term return. As conditions mature, more private and foreign enterprises are expected to participate in Belt and Road programs. Jin Xin, Director of the China Center for Contemporary World Studies agreed with Hu. He said that the Belt and Road Initiative is a huge plan that can be used by enterprises to conduct specific programs one at a time. Since the initiative was proposed by Chinese President Xi Jinping five years ago, there has been a rapid growth of Chinese enterprises, capital and personnel flowing abroad, with this trend set to continue in the future. During this process, Jin added, enterprises should attach more importance to shouldering social responsibility and raising risk awareness. For instance, many countries along the Silk routes are underdeveloped with certain industries less advanced. When Chinese enterprises in these fields conduct business in these countries, they should try to cooperate with local enterprises to establish joint ventures, which could reduce risks since they are more familiar with the local situation. In the initial stage of enterprises venturing out, think tanks can play a supporting role in project assessment, legal consultancy and risk prevention. According to Jin, enterprises should continue to enhance cooperation with governments, think tanks and non-governmental organizations. It is also important to work with local non-governmental organizations while conducting public welfare projects, which are good choices for enterprises. Amity between peoples holds the key to sound relations between states. Communication among civilizations to enhance understanding between peoples is a key part of the implementation of the Belt and Road Initiative. According to a UNESCO official, in today's world, everyone needs to not only understand their own culture, but also other peoples' cultures and religions. Marielza Oliveira, Director of the UNESCO Cluster Office in Beijing and UNESCO Representative to China, South Korea, Japan, Mongolia and North Korea, said the Belt and Road Initiative contributes to interconnectivity by improving infrastructure construction, and more importantly, it enhances mutual understanding between different countries. The objective of the Belt and Road Initiative is to realize common prosperity and to make sure no one gets left behind, she added. The media has played an important role in cultural exchange. Wang Xiaohui, Editor in Chief of China Internet Information Center (CIIC) said that people-to-people exchanges are an important part of the Belt and Road Initiative and the CIIC has done a great deal of work to present China to the world. Cooperation in science and technology also plays a role in facilitating understanding among countries. According to Li Yin, Deputy Director of the Bureau of International Cooperation of the Chinese Academy of Sciences (CAS), the bureau has helped countries along the Belt and Road to cope with challenges and improve living standards through science and technology. For example, Li said, water quality in parts of Sri Lanka is poor and can cause kidney disease among residents. CAS helped Sri Lanka improve water quality by providing water treatment technology and in so doing, improved people's living conditions. In the past few years, CAS also helped train over 2,500 researchers from Belt and Road countries and funded over 100 international science and technology cooperation projects. CAS hopes to use science and technology to help Belt and Road countries solve common challenges and build a better future, Li said. Underdevelopment is the root of many social problems and to develop for common prosperity is one of the most important objectives of the Belt and Road Initiative. The world is now plagued by trade protectionism, which brings harm to all countries. Fan Hengshan, a renowned Chinese economist, said that the Belt and Road Initiative aims to defend free trade and the open economic system as well as to build a community with a shared future for mankind, and will further commit to enhancing connectivity to reduce trade costs. China is taking the lead in opening up wider to the outside world. In November, the first China International Import Expo will be held in Shanghai, which will offer a new platform for all parties to expand cooperation in China's market, Jin said. In addition, China and other countries along the Belt and Road are highly complementary in terms of economic growth. For instance, China has strong capabilities in infrastructure construction, while that in many of these countries needs improvement, becoming a bottleneck for their development. Therefore cooperation in such areas is beneficial to all parties, said Jin. Moreover, China has accumulated rich experience in economic development and poverty alleviation in the past 40 years, which can be shared with other Belt and Road countries, Jin added. Such a complementary win-win concept is also welcomed by foreign diplomats. Mohamed Rasheed, Ambassador of the Maldives to China, said that the Belt and Road Initiative provides investment and job opportunities for the islands and other small countries. The Maldives can further integrate into the global economy through participation in the initiative. According to Masood Khalid, Pakistani Ambassador to China, the China-Pakistan Economic Corridor—a flagship program of the Belt and Road Initiative—is being vigorously promoted by both countries. Over 20,000 Chinese engineers and technicians work in Pakistan helping the country to upgrade its infrastructure and investment environment. The program aims to realize common prosperity for both China and Pakistan, said the ambassador.